Craig Libuse has been involved with Bodyboarding since almost day 1. Below we asked Craig to tell us about his longtime behind the scenes involvement……In 1972, I was just out of 4 years in the Air Force. I got married and moved to Carlsbad a block from Tamarack Beach. 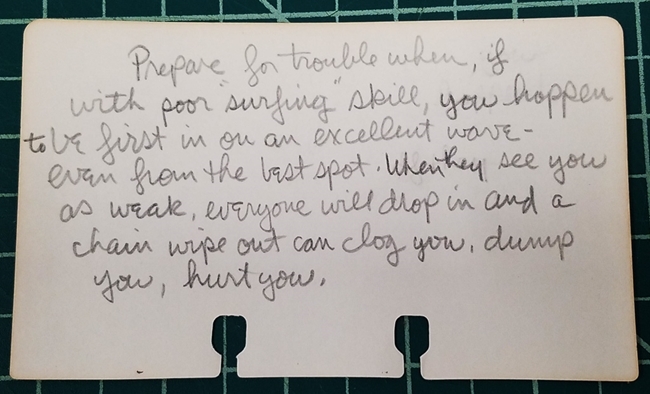 I was riding a kneeboard at the time. I saw two kids on boogie boards in the surf (Bobby Szabad and Rick Broderson) and they looked like they were having a lot of fun. My wife was having trouble learning to ride a kneeboard so I asked them where they got the boards. They directed me to Tom Morey’s house on Chestnut Street a few blocks north. He was hand shaping blanks in his garage and packaging them with two coloured skins and a set of instructions. I bought a kit for $35 and made a board for my wife. Within a week I was back for another board for me. Tom mentioned he needed a logo, so I designed the original logo of the long-haired guy/girl in the tube that Tom envisioned. They used it for years. Tom paid me $25 for the full rights to the art. I was unemployed at the time so that was big money. Once Tom started making boards out of a small shop on Rooseveldt street he needed more artwork and ads and put me on the payroll. That job lasted 15 years. I started my own graphics business and worked 12 hours a week exclusively for Tom Morey & Company. 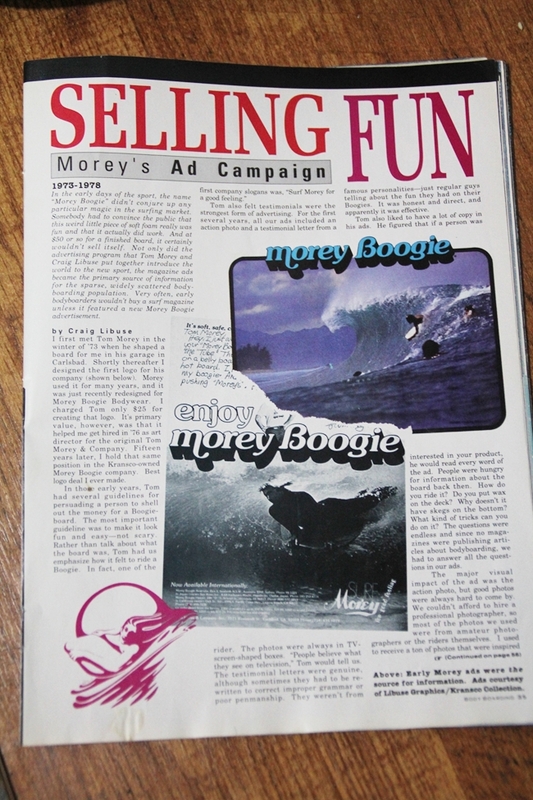 When Kransco bought Morey Boogie they kept me on as Art Director. Over that 15 years I learned a lot from Tom, I wrote the article Selling Fun in Bodyboarding magazine 20th Anniversary issue which covers a lot of that. I was sure in the right place at the right time. The Bodyboarding article below.